UPDATE: Nescafe is having issues with their free sample page, and it may not work for you. Watch the Nescafe wall for more info about when it is fixed. 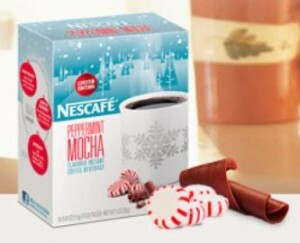 Sign up for a FREE sample of Nescafe Peppermint Mocha here. Yum! I tried this morning and I am getting an error. I’ll try again later!